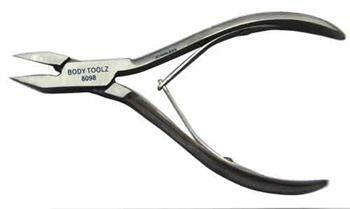 Heavy duty blades for undercutting the corners of the toenails. Box joint, straight blades, double spring for removing ingrown toenails. The slender blades allow you to reach the undercurled toenails. Use for removing tough ingrowns. Sure grip handles for easy use.